Calculations in this chapter draw from the thermal properties of snow and ice discussed in chapter 2, with the discussion of sea-ice thermodynamics based on Bitz and Lipscomb (1999). This has its roots in the classical model of Maykut and Untersteiner (1971). Bitz and Marshall (2011) extend this to a more general treatment of cryospheric thermodynamics. Bitz, C.M., and S.J. Marshall (2011). Cryosphere models— ocean and land. In: Encyclopedia of Sustainability Science and Technology (P. Rasch, ed.). Springer, New York. The equations for modeling of shortwave radiation are outlined in Garnier and Ohmura (1968) and Oke (1987). Garnier, B.J., and A. Ohmura (1968). A method of calculating the direct short-wave radiation income of slopes. Journal of Applied Meteorology, 7 (5), 796-800. Oke, T.R. (1987). Boundary Layer Climates, 2nd ed. Methuen, London, 435 pp. Arnold, N.S., I.C. Willis, M.J. Sharp, K.S. Richards, and M.J. Lawson (1996). A distributed surface energy-balance model for a small valley glacier. I. Development and testing for Haut Glacier d'Arolla, Valais, Switzerland. Journal of Glaciology, 42 (140), 77-89. Cline, D.W. (1997). 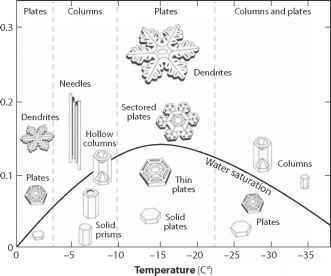 Snow surface energy exchanges and snow-melt at a continental, midlatitude Alpine site. Water Resources Research, 33 (4), 689-701. Marks, D., J. Domingo, D. Susong, T. Link, and D. Garen (1999). A spatially distributed energy balance snowmelt model for application in mountain basins. Hydrological Processes, 16, 1935-1959. Bolch, T., B. Menounos, and R. Wheate (2010). Landsat-based inventory of glaciers in western Canada, 1985-2005. Remote Sensing of the Environment, 114, 127-137. Losic, M. (2009). On the turbulent heat flux contributions to energy balance at Opabin Glacier, Yoho National Park, Canada. Unpublished M.Sc. thesis, University of Calgary.